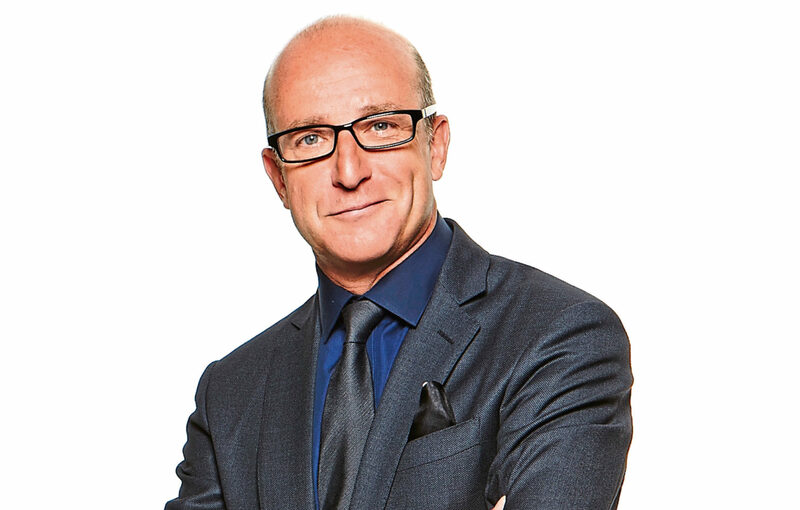 PAUL McKENNA is the world’s leading life coach. 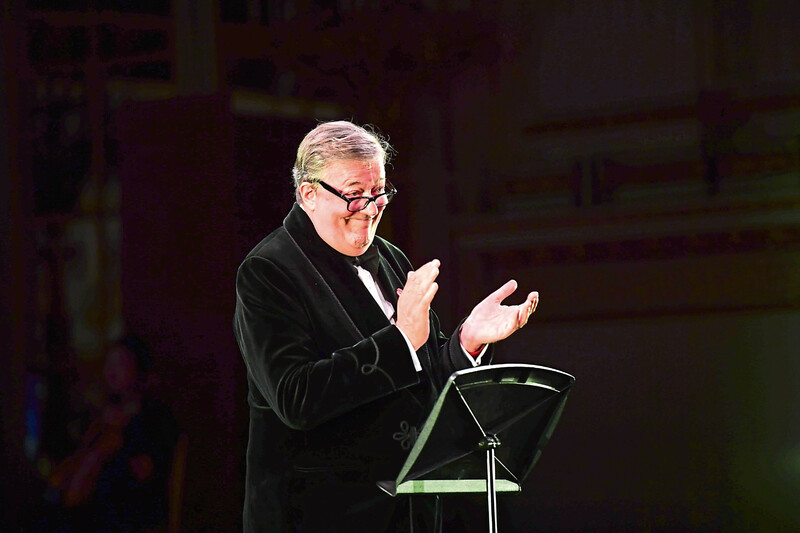 He has helped the great and the good, Stephen Fry advocates his weight-loss strategies and David Walliams used him to help with his cross-Channel swim. But Paul explains: “It’s pretty impossible to get a session with me these days because I’m so very busy. “So the best thing I can do is take it to as many people as possible. I started out in the past with cassettes then CDs and DVDs and now it’s this interactive tour that is like a personal session with me for a life makeover. “It’s a bit like an evangelist rally but I’m not preaching, I’m actually doing. “I haven’t toured since the 90s which is a long time, and in those days I used to tour a hypnotism show. This is a bit different. It’s a motivational event. “I’ve been doing them in London for about 20 years or so but this is based on one of my books called The 3 Things That Will Change Your Destiny Today. “It’s not a lecture, it’s highly interactive so I start the evening by asking, ‘Is there anyone here who’s held back, who’s had something terrible, traumatic happen to them and they just can’t get over it?’. “Then I’ll do it to the entire audience, 500 people. That’s how the evening progresses: ‘Is there anyone here who thinks they’re unlucky?’ and again I flip it so they’ll go, ‘Oh, I can see opportunities now where I couldn’t’ or I’ll ask, ‘Is there anyone here who doesn’t feel confident?’. “As well as that, I give everyone who attends a book with a CD and a DVD so the idea is you leave on a high going, ‘Wow, isn’t life fantastic? !’ and you’ve also got a support mechanism which will carry you through to getting the kind of life you want. “Basically, research shows some people are disproportionately luckier than others, and the basis of it is that the people who are luckier believe they are lucky whereas the people who don’t do so well believe they’re unlucky,” explains Paul. “I’ve got one particular technique to get people to notice opportunities where they haven’t before, to feel confident. Rather than moving away from failure all the time they’re moving toward success. “It’s not just an airy-fairy, positive-thinking type of approach, it’s actually quite scientific and to do with changing someone’s perceptual filters so they see opportunities where others didn’t. “On page three it says ‘There are 42 pictures in this newspaper, claim your £100!’ All the people who think they’re lucky spot that, the others don’t. “It’s not positive thinking, it’s reconditioning the way we think so we see opportunities, feel confident enough to go for them and do it from a place in which we know what we truly want. “I say to people: ‘If you set out in a boat without a rudder, you could end up anywhere’ so it’s a very good idea to know what it is you want; be it family, career, health, relationships. “Confidence is very important. But people who are in your face blustering are very unconfident – if you’ve got to show people you’re confident, you can’t be. “The palm-readers will say: ‘Your left hand is what you’re born with, your right is what you do with it’ so say you have the skill of being an orator, you could be John F Kennedy or Adolf Hitler, if you had scientific knowledge you could use that for either good or bad. “We all have free will and freedom of choice and those choices shape your life. One of the techniques I use is I take people out in their imaginations to near the end of their life but with the assumption they’ve had a great life. “If that’s true, what must have happened? So suddenly you get hindsight ahead of time. “I realised it was around me all the time and I had to take a moment to appreciate it. And because I did that, my life got richer. Paul is also responsible for a hit podcast on which he interviews celebs like Roger Daltrey and Gary Lineker, and he explains: “It’s not a journalistic interview, it’s more psychologically-geared. I’m trying to unpack how you do what you do? “I was on holiday with Simon Cowell and this huge private yacht pulled up. It was the record and film producer David Geffen’s. “He wanted to meet Simon so we went over to his boat. Simon’s very much a listener so these two moguls were sitting there and I just started asking questions – how did you get started? If you had one lesson you’ve learned what would it be? “On the boat back Simon told me I should consider doing a chat show because I’d got so much interesting information from David Geffen. As luck would have it two weeks later I got approached by an American channel who wanted to do a talk show of a psychological nature. His new Positivity Podcast is available to download now.